You may need to use extension ladders for your tree work, but as experts in tree service, we recommend thinking twice before doing so. Ladders need to extend at least three feet past the branch you will be working on. Do not make the mistake of cutting the end of that particular branch, however, as this will cause the branch to rise beyond the ladder, creating an unsteady base for your ladder. Without a solid base, you have no assurance that the ladder will be able to support your weight and the tools you’ll be bringing with you. As experienced professionals, we have the proper training to ensure our safety as well as your property’s. When you turn to us for tree service, you can be assured that we prioritize your safety above all else. Tree-care equipment can be quite expensive so some homeowners may resort to subpar tools. Faulty equipment like a dull chainsaw, however, can cause serious accidents. Additionally, lack of knowledge about the tree and its biology can do more harm than good. Tree trimming is a technical task, not something that you can cut corners on. Aimlessly hacking away at your tree with a chainsaw to remove branches in massive sections is dangerous. The weight can make the limbs difficult to control, which can damage the tree. Ensure flawless tree trimming results by turning to Dayton Tree Service. As a qualified tree-care professional, we have the skills and tools to ensure quality results and avoid hazards. 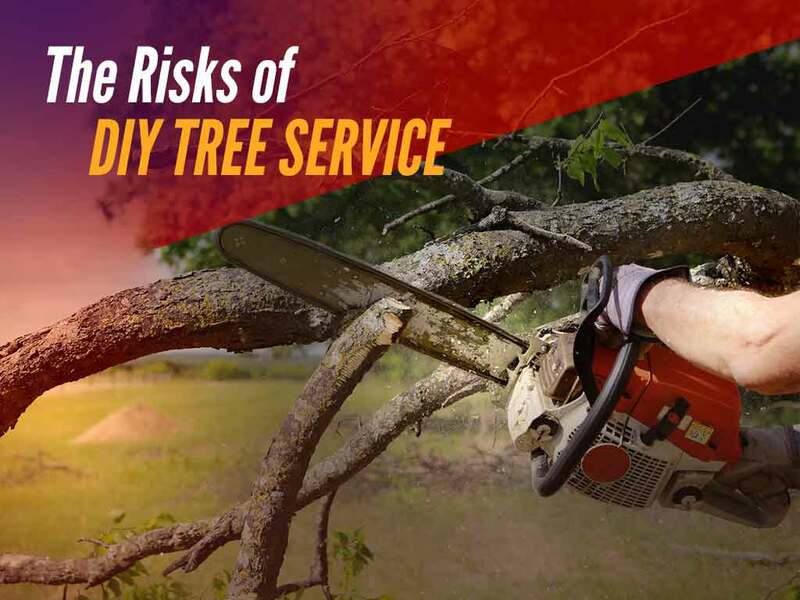 Call us at (937) 329-9988 today to learn more about the dangers of DIY tree service. You can also schedule a free consultation with our team. We serve several areas in Ohio including Dayton and the surrounding communities.